The “Sagebrush Sea” is one of the most extensive ecosystems in the American West. Sagebrush dominates the landscape but a complex web of flora and fauna make the ‘sea’ their home. Follow the colored lines below to see how food energy makes its way from simple plants at the bottom of the web to large predators near the top. Click on the images of the different groups to show their connections only or on individual plants and animals to learn more about them. 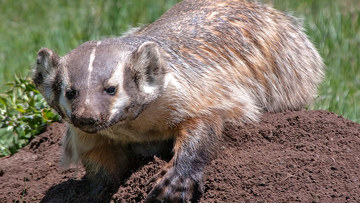 The American badger is a member of the Mustelidae, a diverse family of carnivorous mammals that also includes the weasel, otter, ferret, and wolverine. It digs underground burrows with short, powerful legs and huge foreclaws that measure up to 2 inches (5 cm) in length. Healthy adult animals have few natural predators. 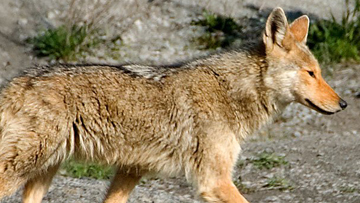 The coyote is a smaller relative of the gray wolf found throughout North America. It is a highly versatile species, whose range has expanded despite human changes to its natural environment. 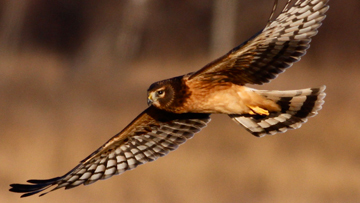 The northern harrier is a medium-sized raptor with a broad wings and a rounded tail. They are the most owl-like of hawks, using hearing as well as vision to locate prey. 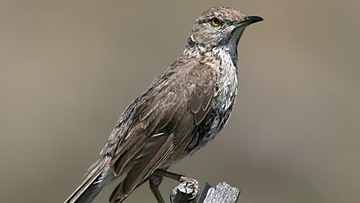 The sage thrasher is an small songbird that hunts for insects beneath sagebrush. Sage thrashers are talented singers that can mimic the sound of other birds. This gift for song gave them their original name, the “mountain mockingbird”. 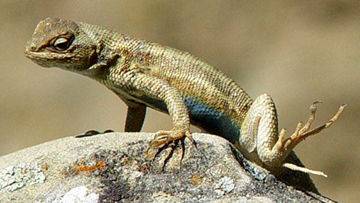 Often found in stands of sagebrush, this lizard is also called “spiny” lizard for the small scales found on its back. 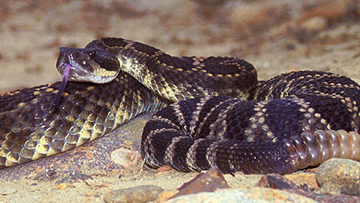 A venomous pit viper species native to the western United States, southwestern Canada, and northern Mexico. Like other rattlers, it scares off potential predators with the loud shaking of a ”rattle" on the end of its tail. 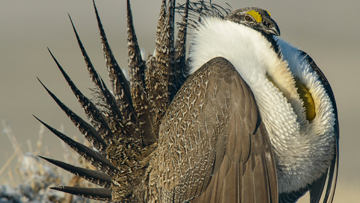 The greater sage-grouse is the largest grouse in North America. Their historic range spanned 16 American states and Alberta, British Columbia and Saskatchewan in Canada. However, more recently their population has suffered severe declines, with a recent study reporting a 56 percent reduction in breeding males between 2007 and 2013. The pronghorn is a species of hoofed mammal indigenous to interior western and central North America. 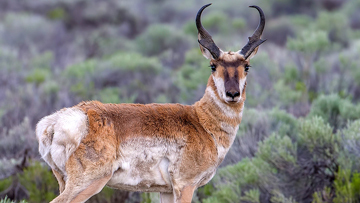 Although sometimes called the pronghorn antelope, it is only distantly related to the antelope species of Africa and Eurasia. It is the second-fastest land animal in the world clocking in at speeds of 60 miles per hour. 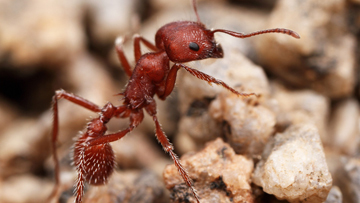 A species of ant that inhabits the deserts and arid grasslands of the American West. It gets the name “harvester” from its habit of collecting edible seeds and other small food items. 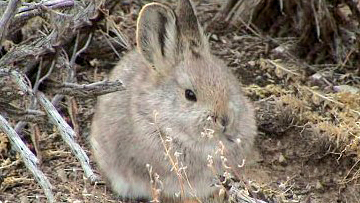 Pygmies are North America’s smallest rabbit, with adults weighing less than a pound. They are one of two rabbit species that dig their own burrows. 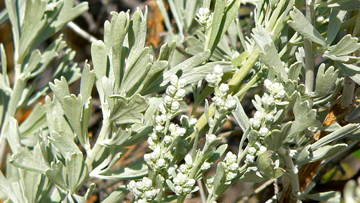 Sagebrush are low-growing, shrub-like plants belonging to the genus Artemesia. 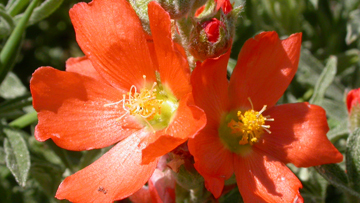 They are among the most widely distributed native plants in the western United States. The plants not only provide sustenance to huge variety of herbivores, but offer a place to hide from predators and shade from the hot desert sun. Some sagebrush species can live up to 150 years and help other plants grow. 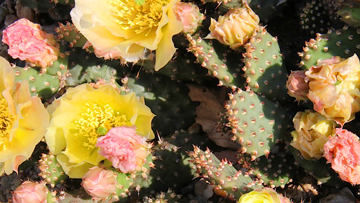 Cactuses are a family of hardy plants that store water in their wax-covered leaves. They are often covered in sharp spines that prevent them from being eaten by grazers. Like sagebrush, they provide food and shelter for a large number of species, and are also a source of water during drought. Wildflowers, also known as forbs, are an important food source for birds, insects and grazers.